Welcome to Wessex Narrow Gauge Modellers & Narrow Gauge South! See the 2018 OPEN DAY pages for more details, including a list of layouts attending. Whilst you are here, why not take a moment to read about the WESSEX NARROW GAUGE MODELLERS, meetings, members layouts and our ramblings across the country visiting “the real thing”. WNGM Members also receive a monthly newsletter – all this for £5 a year subs! See the Wessex Narrow Gauge Modellers page for more details and how to join the group. 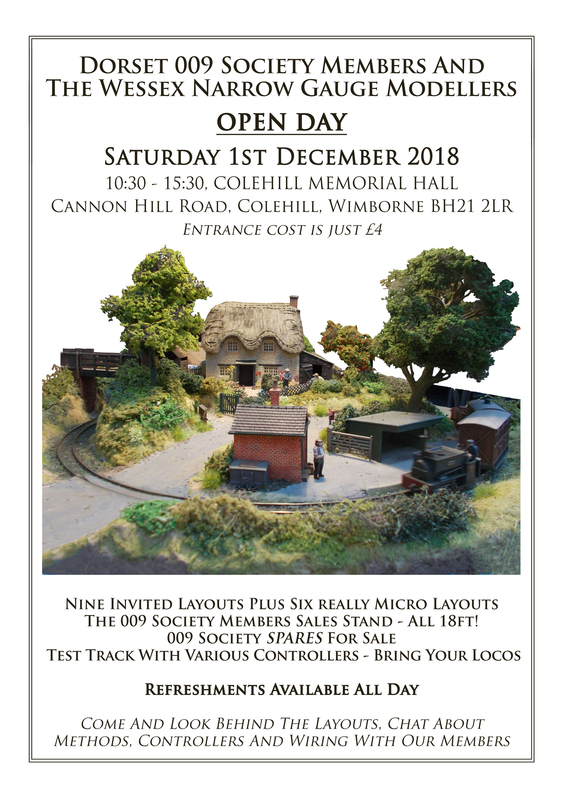 WNGM’s main event is NARROW GAUGE SOUTH, probably the premier narrow gauge model show in the South of England, held every two years. Please visit the 2018 exhibition pages for a report on this year’s exhibition or the gallery for a selection of images from the show. WNGMs 20th Narrow Gauge South model railway show will be held in April 2020. This entry was posted in Admin on November 4, 2018 by vcivs.